Considered as one of the prominent auto-makers in India, Mahindra and Mahindra is all set to increase and expand even more towards international automobile market, and thus are in talks with two defense based companies overseas for joint venture. The company is looking forward to having two new joint ventures or collaborations. The prime target of the company is to generate a turnover of $1 billion by the next decade. Thus the officials of the company are trying to adhere to the terms and conditions required for the alliance to be set-up. 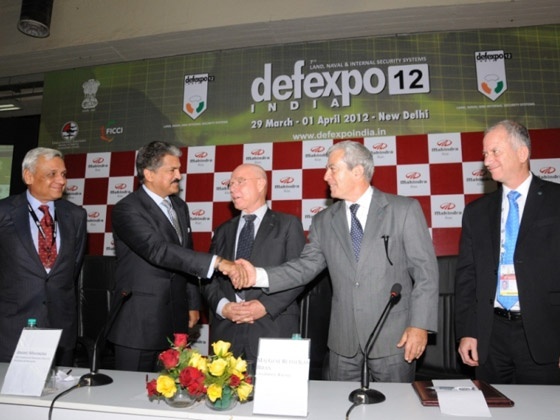 It is being said that Mahindra and Mahindra are in talks with Rafael Advanced Defense Systems which happens to be owned and operated by the government of Israel. The other ally is speculated to be US-based Telephonics Corporation and these two firms are said to make an investment of approximately INR 200 Crore. It has been long since Mahindra and Mahindra got into an alliance with any corporation and now the company strongly feels that it is the time to expand into the international market. Out of the total deal, Mahindra and Mahindra will be taking over approximately 74% of the total shares whereas the remaining shares will be distributed between the two firms. Mahindra & Mahindra is coming up with new cars and thus there is a chance that all of the cars of Mahindra will be up for exports. 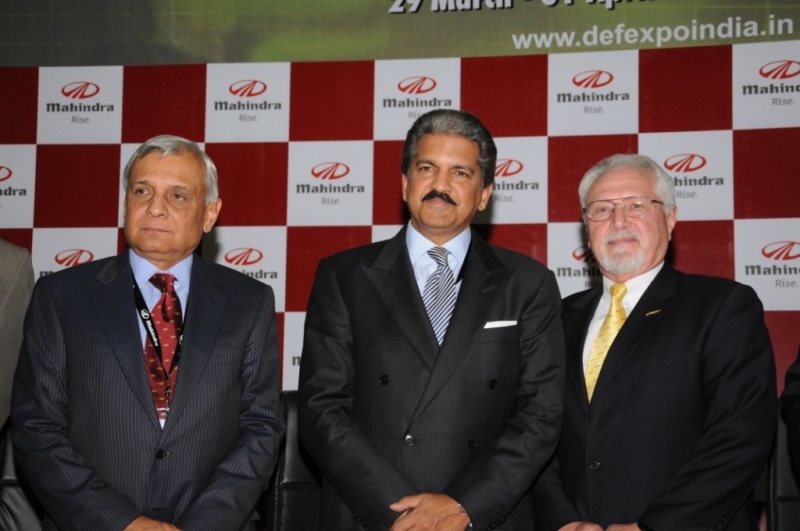 Anand Mahindra, who happens to be the Vice Chairman and Managing Director of Mahindra & Mahindra recently gave a statement in front of the media in which he revealed that Mahindra & Mahindra was looking forward to having better prospects after sealing alliance with Rafael Advanced Defense System, Israel and Telephonics Corporation, US. He further added that Mahindra had been pioneering automobile industry since a long time and now hopes to take the enterprise to a new level in the future by having allies. Mahindra has long-term goals that they have set for their future. The turnover prediction that the company has estimated for the next decade is a staggering USD 500 million. Mahindra further reveals that if they get a chance to bag the FICV issued by the Government of India, then the turnover can easily reach $1 billion in a shorter course of time. Unlike other heavyweights of the industry, Mahindra feels that the aspirations that it has for the future are different from that of the other companies that lock horns with it and are doing their level best to overthrow Mahindra and Mahindra off its throne. It is being said that the starting of the deal will be with INR 100 crore with Rafael and both of them will be jointly establishing a facility in Pune very soon where the manufacturing of the new cars of Mahindra will be taking place at a massive scale. All this has been confirmed by Anand Mahindra and in the near future the company is bound to scale new heights owing to the joint ventures it has entered into.